Chillies, long used as an ingredient in recipes around the world and, more recently, the unwitting star of many ill-advised yet hilarious YouTube videos, may actually be far more useful than previously thought as new research suggests that capsaicin, the ingredient that gives chillies their trademark kick, can actually kill off breast cancer cells. The study, conducted in Germany by scientists from Ruhr-University in Bocham, the Herz-Jesu-Krankenhaus hospital in Dernbach and the Centre of Genomics in Cologne, showed that exposing human samples of breast cancer cells to capsaicin can induce apoptosis (cell death) due to the way the two react. When capsaicin reaches a cancer cell, it attaches itself to the cell membrane and activates a cell receptor called TRPV1 (I know, catchy right?). Then it really gets to work. The TRPV1 receptor directly controls which substances, including crucial vitamins and minerals such as calcium and sodium, can move in and out of the cancer cell. 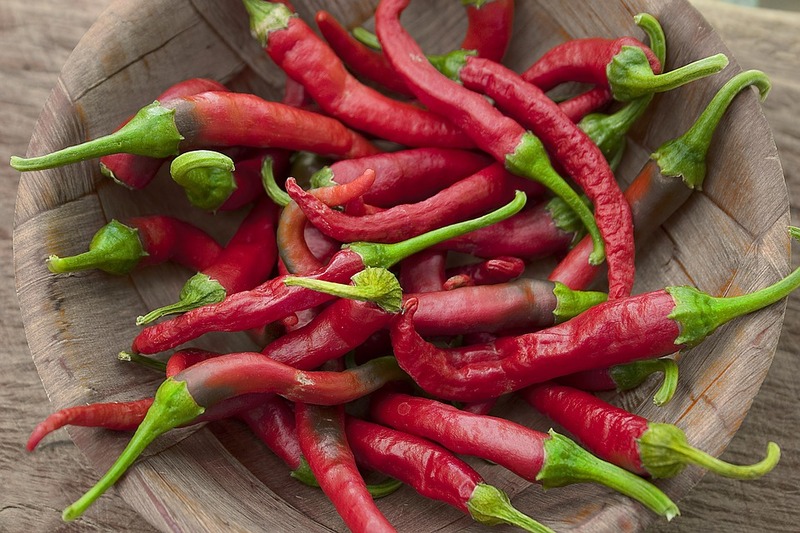 With capsaicin in control of this receptor the cell is sent into overdrive. The overworked cells then begin to ‘self-destruct’, stopping tumour growth in its tracks. Dr Lea Weber of Ruhr-University wrote in the journal Breast Cancer - Targets and Therapy, "Capsaicin is capable of inducing apoptosis and inhibiting cancer cell growth in many different types of cancer, for example, osteosarcoma, colon, and pancreatic cancer cells, while normal cells remained unharmed." And therein lies the key; while many compounds have been shown to damage or kill cancer cells, that line about normal cells remaining ‘unharmed’ is crucial when it comes to developing a viable treatment or cure from capsaicin in the future. 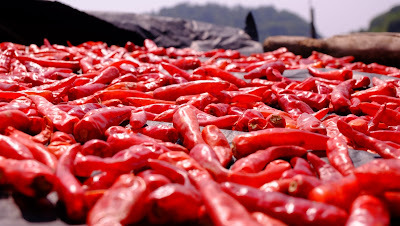 There is, however, one major issue when it comes to fighting cancer with capsaicin; the compound is ineffective if eaten, inhaled or injected. As a result, the compound will have to be combined with another cancer-targeting drug in pill form, which should allow the capsaicin to reach the cell membrane and do its job. "In this study, we aimed to identify the TRP channels in different breast cancer subtypes and to investigate the effect of TRPV1 ligand [capsaicin] on breast cancer progression. To our knowledge, no studies have yet conducted a large-scale comparative study of the TRP channels expression profiles in breast cancer cell lines. "In our experiments, a significant reduction in cell proliferation after capsaicin stimulation was observed. This finding was in accordance with the results of other scientists, who demonstrated a significant decrease in the cell growth rate of MCF-7 breast cancer cells upon capsaicin stimulation."